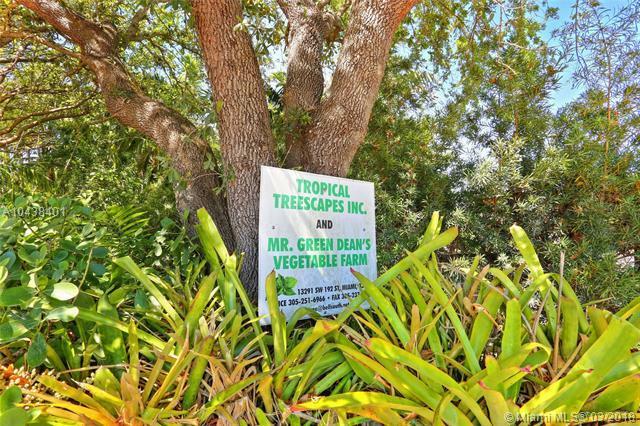 Rare to market, Tropical Treescapes is a profitable, 5 acre boutique working farm, located less than 2 miles from the Turnpike, and surrounded by large residential homes. 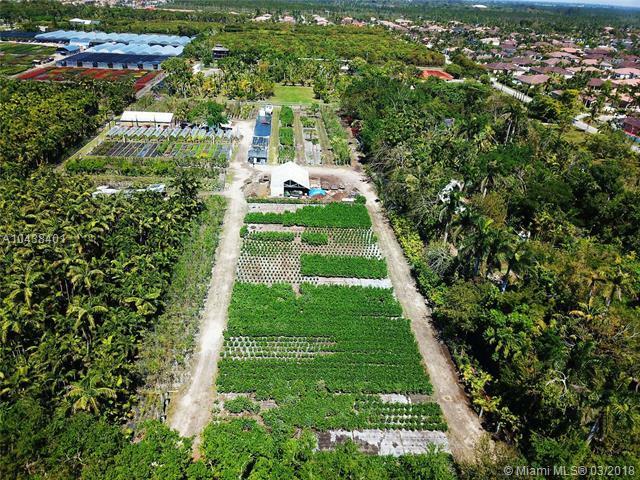 Growing specialty vegetables, high-tech aquaponics which includes raising fish (1,000 and 850 gallon fish tanks), also sold to collectors, plus potted plants and palms. 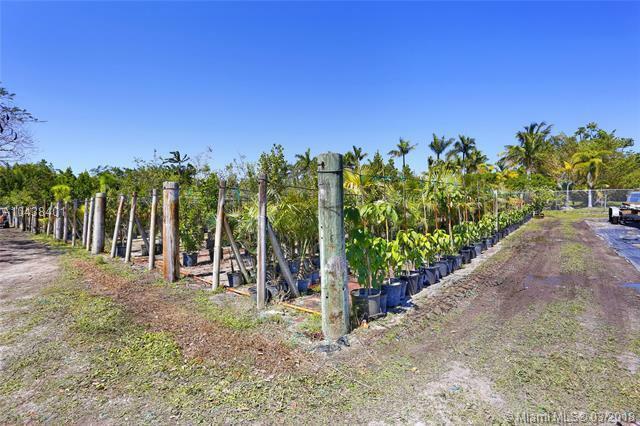 The nursery/farm customer database is 200 strong clients. The specialty produce is featured in many restaurants, and farmers markets. Sale is turnkey with all farm equipment, buildings and inventory. 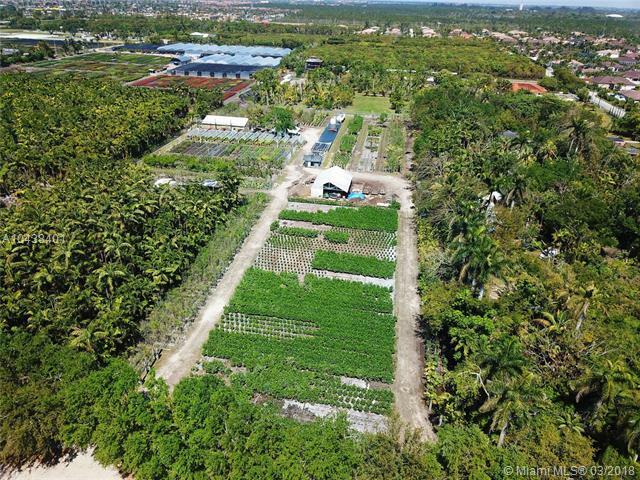 This farm would be a perfect venue for weddings and parties besides being a working farm close to Coral Gables. Similar venues are charging $20,000 per event!!! See additional details on attached doc.